Resourcing Group Facilities Management Recruitment office is recruiting for a Maintenance Assistant to carry out maintenance work within a large public site in London. Within this role, you will be working in a large team and required to complete a range of basic DIY maintenance duties including minor electrical and plumbing tasks, general making good, smoothing walls etc repairing doors, shelving, furniture, fixing curtain rails. 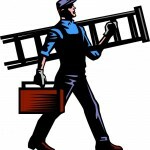 – You must have good all round maintenance skills and have previous experience within a similar handyman role. – You will be a good team member with a friendly and professional manner whilst working in a busy public facing site. You will be required to provide reference contact information supporting your recent work experience.